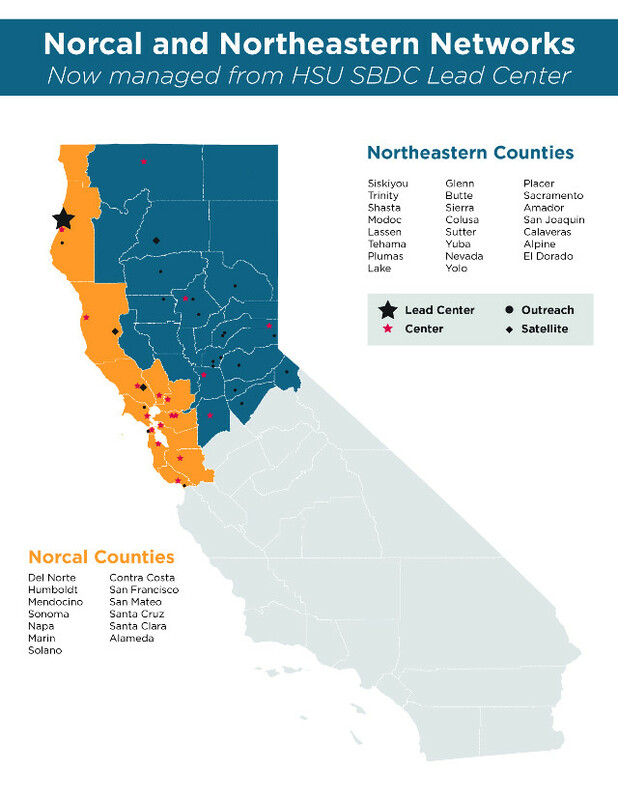 Effective Jan. 1, the Norcal Small Business Development Center program will take over the leadership of the Northeastern SBDC territory to become the 5th largest SBDC network in the country. The SBDC program is active in every U.S. state and territory and is funded in part by the U.S. Small Business Administration to provide free, one-on-one expert business advising and workshops to nearly 1 million small businesses annually. The overarching mission of the SBDC is to help small businesses launch and grow their enterprises in a way that benefits the local economy. Humboldt State University’s Sponsored Programs Foundation has been the fiscal host of the Norcal SBDC Lead Center since 2006.